thats a nice filibusta, how low did it go there? and are these all newly grown fronds. My filabusta & robusta took 16F here. They were all defoliated. I trimmed the crowns off completely. As you can see the filibusta came back much faster. I need to get back up there & cut the dead stuff off. Yes they're all new fronds, I'm not sure how low it went...but most palms were damaged badly and many were dead. great to see them come back like that. my smaller filibusta grew 8 new fronds after defoliation. Its growing in a corner of my courtyard but will hopefully tower over the house in the coming years. The petioles are pure green and very long. if i count correctly, large filibustas in SC grow back 12 fronds by the end of july after defoliation. They're much hardier than robusta, the robusta I planted at my grandmas is completely fried. Great photos! Glad to see them surviving in Greenville. I used to live z8A near Columbia, SC. Near border with 7B. How can Greenville be 8A and not 7B? My 3 W. "adult" robustas survived nicely for 2 winters in SC, then got killed in 2012-13. Just 20 miles south from there, I think in Barnwell, SC, W. robustas are doing fine even in a shade in some motel there. Now I grow them freely in z11 on an island that no one knows about existed, and my favourite Washingtonia is the Filibusta (hybrid). Actually one of the most beautiful palm trees in the world keeping in mind they are easy to grow in z9 and above. Here are Washingtonias in zone 8A in Barnwell, SC at Winton Inn. They could be hybrids (W. filibusta) or W. robusta. Perhaps lots of asphalt around is helping them survive. 28 miles north from there Washigotnia robustas stood no chance during cold spell winter, yet in Columbia, SC W. robustas survive next to a hotel and some majour thoroughfare. Do we need a reason, officer? Don't mess with zone 7B/8A. I had enough of it and the deaths it caused to many palms. They thought Columbia, SC is now z9A and then boom, geoengineering fail.... 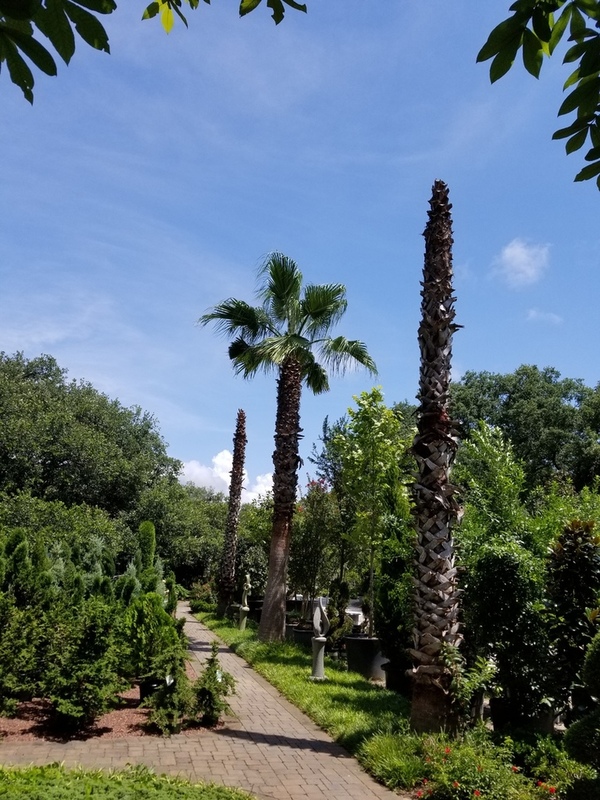 I personally find Trachycarpus very beautiful in groups, why not grow more of these. Dixiana, South Columbia, Farmer's Market. Can you see the sandy flock of land at this intersection? The photo is from 2011, but in 2012-2014 they planted there all kinds of palms, including what I was suspecting even a Bismarckia? or a similar one. They used to overwinter just fine, perhaps because of the sandy soil? 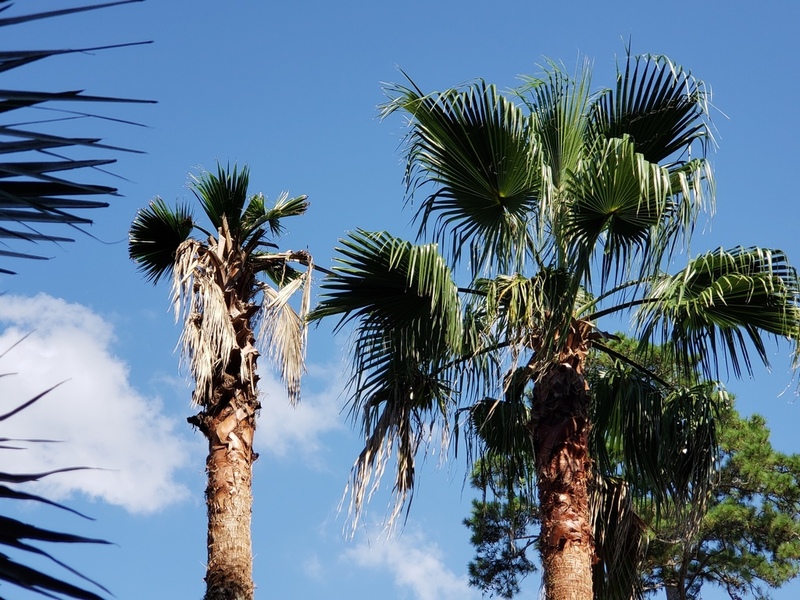 Washingtonia robusta or filibusta at 3021 Studios, 3003 SC-16 Rosewood Dr., Shandon, Columbia, SC, next door to Rosewood Dairy Bar. I think that's most of Columbia's Washingtonias that I know off. I've seen a W. filifera somewhere in a shopping area in the northermn suburb of Columbia, but not sure where. Columbia is zone 8 and about 5 degrees warmer than Greenville. Greenville is on the border of 7b/8a. 10F in Columbia in 2013 makes it barely z8A. I've studied all these maps years ago. The old 7B/8A line runs across Columbia, SC. Yet a single low killed my palms. And nthose kind of cold fronts keep on reoccurring every 3 years ro so. Columbia is basically 7B. Orangeburg is 8A. Charleston is 8B. The new 8A was artificially moved up north because of geoengineering, but it is not steady and 7B can hit hard even by one cold night and one cold day. The artificial cloud cover traps heat. If you can have W. robusta survbive in Greenville for 10-20 years and then possibly killed by a freak cold front, one could say yes, it is a zone 8B. If it gets killed every 3 years then it's a 8A or even 7B. 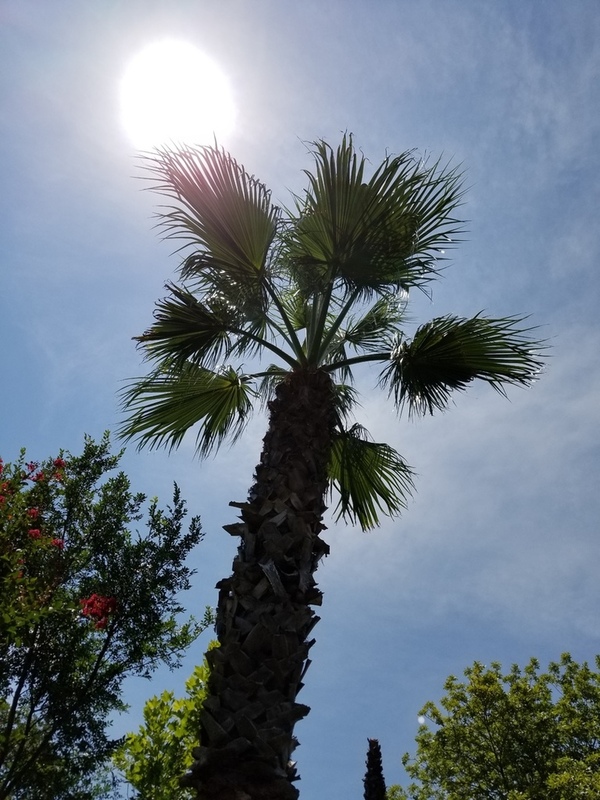 If a palm tree needs protection on the coldest nights, that's one (half of) hardiness zone lower. On the other hand, the new geoengineered map shows Barnwell, SC as z8A yet what seems like W. robustas survive there long term as I was observing them for many years. Barnwell may as well has become already geoengineered into a z8B. Yet the microclimate where Ilived may had an island of nearly 7B while 30 miles north from where I lived a town of Leesville, SC is growing citrus just fine and potted Washingtonias survive in a shed. Well, I had seedlings of washies survive a winter just fine in the outdoors for a couple winters, but then came the cold winter of 2012-13 and the in ground 8 years old robustas got fried. I am now what I thought was 11B but past winter I had a couple nights go down to plain +7C which is like 44,6F which makes it 11A. For plant safety reasons. Charleston is 9A, most years we don't drop below 25F. This was a really freak year that we dropped to 16F & had ice & snow. 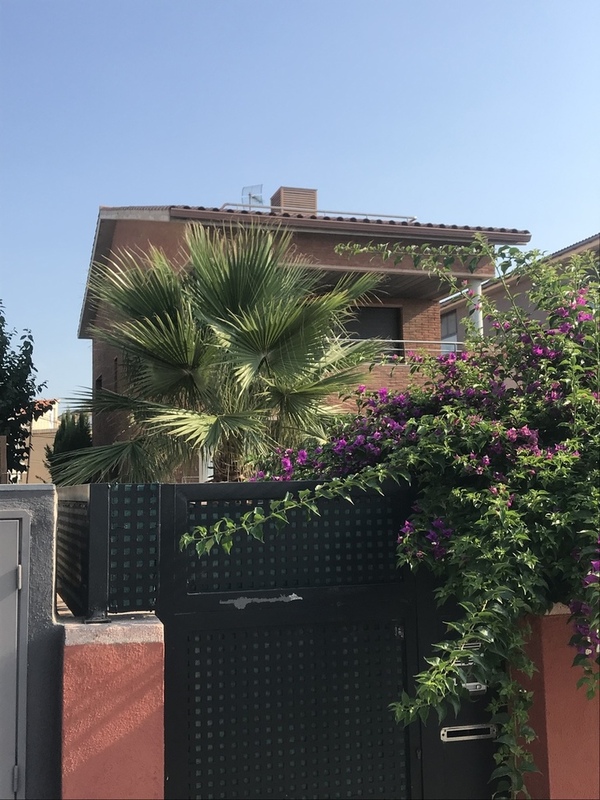 Nice Washingtonia and cool house you've got there. If I stand close to it I can tell all 3 apart quite well. Rivals Pritchardia pacifica. Looks like a 6-7 year old fantastic specimen. Is it in your yard? 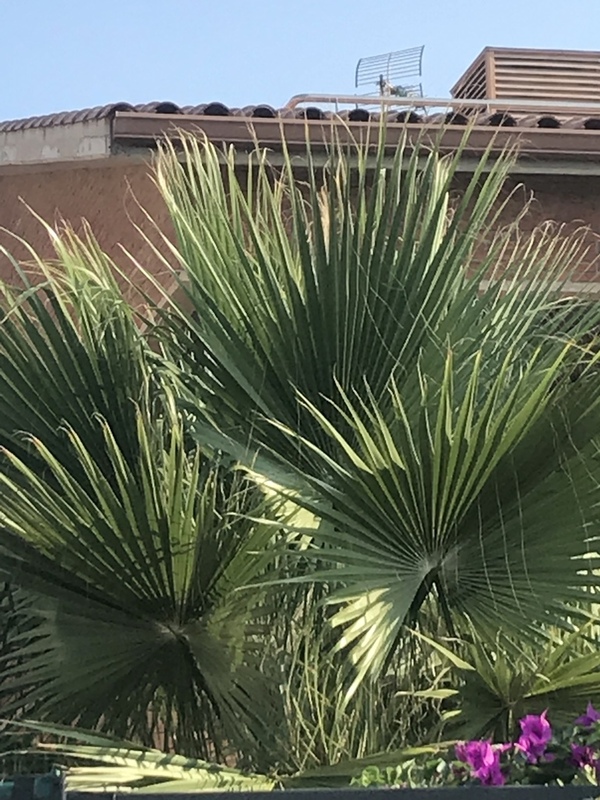 Zone 9B most of the time then yet for palm survival still a z8B even if it happens just once a year. Let's put it this way: a lifetime of an average palm tree is 60-80 years? Let's say 30-40 years half of its lifetime if it survives, then that's the zone. Or at least enjoy it for 25 years until it gets killed by the returning hardiness zone. I lived near Columbia SC and most of the time we had 32F in fact! But once in a while we would get less than that. Down to 10F. Only once or twice. So is Columbia in a zone 10? For 2 years we never went below 22F ever, but then on te third year it went down to 12F or even 10F overnight and 30F overday. Goodbye palm trees (except of course sabals, butias, trachys). In Myrtle Beach, SC I saw Canaries CIDP growing just fine, so it must be close to zone 8B line there since Wilmington, NC won't nurse washies for extended time. That's 33/34 degrees from Equator. Where I am now is 38th parallel and zone 11 while LA now they say "never" below 50F and 34 parallel as well. "Filibusta in Pawleys Island zone 8b"
no, its in Spain. i just noticed it while walking. Filibusta (right) and robusta (left) in Augusta, GA. Picture taken a week or so ago. Our low was 18F; no day was below 32F all day. There was one week last winter, though, when it was pretty cold for seven straight days. Nothing died except a few Heliconias that were always on borrowed time. If you are in a zone 9b "most of the time", but have an 8b low on average once per year, then you are really an 8b. The USDA hardiness zone classification is simply based on annual average lowest temperature (over a 30 year period I believe). Some years will see colder lowest temperatures than this average, some warmer. It is most prudent for long term survival to plan your garden with the knowledge that it will get colder than your zone some years. Me, I like to zone push for the challenge and thus do basically the opposite (plant palms rated 1/2 zone higher than my actual zone). It's probably an unpopular approach around here but I like to increase the chances of longevity of my garden's occupants by going in the opposite direction - planting a 1/2 zone lower. Tending to a juvenile that's getting established is one thing but I'm not up for a lifetime commitment. (That sounded unintentionally pervy.) The upper Gulf Coast is notorious for long stretches of mild winters punctuated by precipitous dips in the mercury, like the shockingly chilly one of 2017-2018. I'm no stranger to replacing plants that have bit the dust but I'm just a little to lazy to ask for it. Bow I lost thousands of dollars to zone pushing and economic crisis. 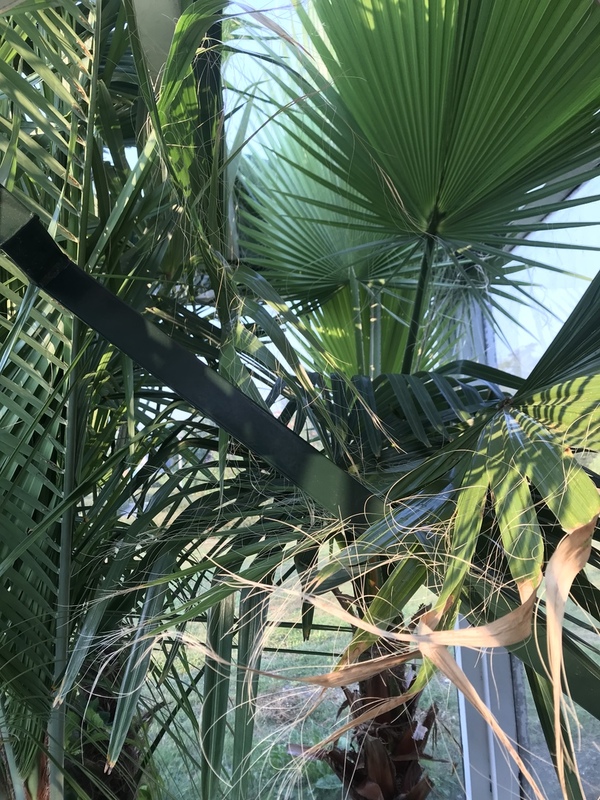 It is reasonable to have a palm tree in the ground for 20 years, then it gets killed, but unreasonable like I did with W. robustas that survived for 2 winters ("never" below 21F) and got killed on a third one (down to 12F or even 10F). Also bought many tall Sabals from the nursery in Pontiac, SC (on Two Notch Rd. US-1) and some of them had wilting problem. I kind of knew they will die in 3 years, but the nursery owner told me they will be fine, with a 1 year warranty, I was asking for trouble. Then 3 years later one of them died ($300). Never buy a sabal that has wilting fronds. 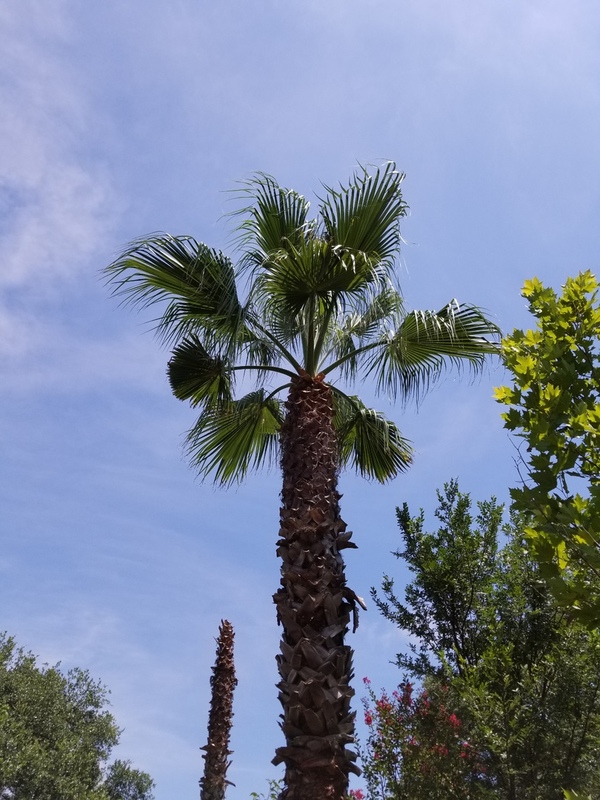 Now in z11 I see people love to plant Butia capitata or yatay and Trachycarpus. Is that called zone pulling? 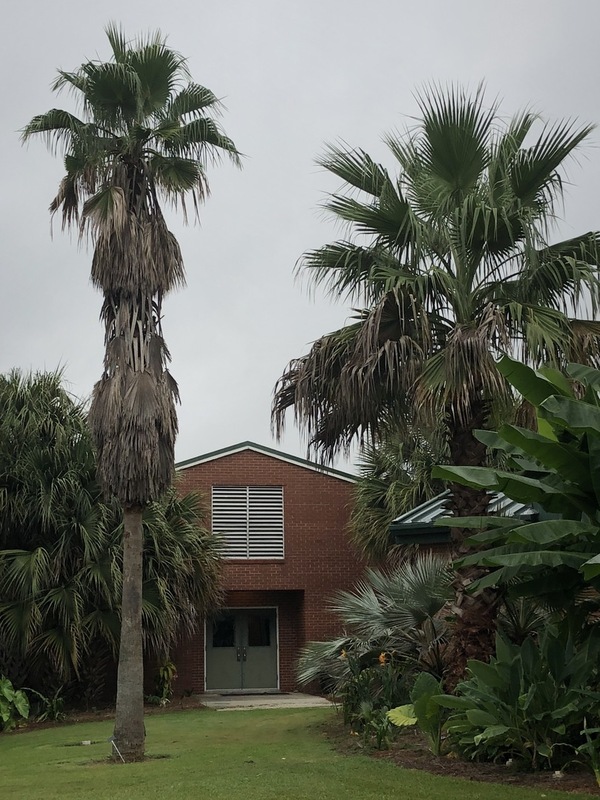 But if tropical plants (Monstera deliciosa, Bird of Paradise, tropical palms) grow here, even at 38 latitude, it's still kind of a tropical climate. I found a map in one of the gardening books. It marks Tropical South and by a closer look I found some tiny islands in Georgia and even SC marked by orange (TS)! There are islands in SC that never below 31F!? 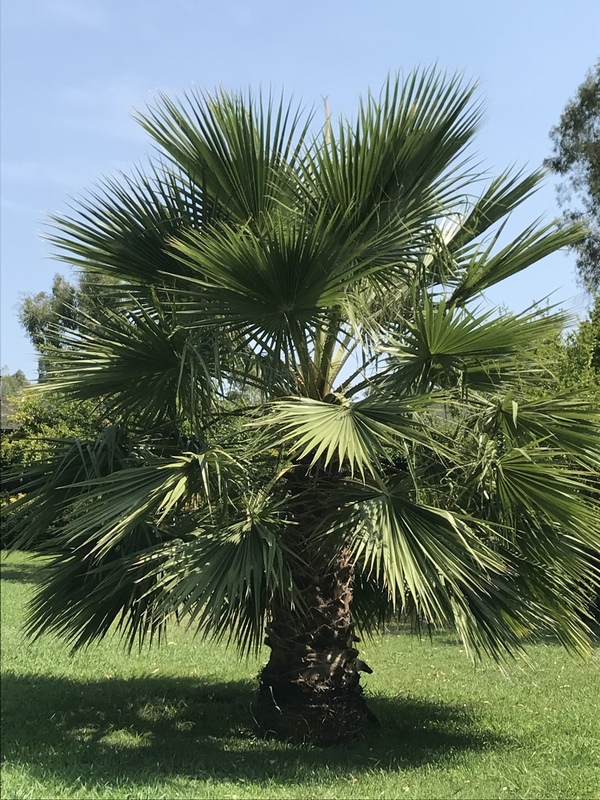 Now in z11 I see people love to plant Butia capitata or yatay and Trachycarpus. Is that called zone pulling? I call it "zone padding" - it buys you that extra layer of protection, but not a guarantee against injury in a precipitous fall of the mercury.